Members of secret societies, persons with forged certificates, and undischarged bankrupts are also disqualified from becoming lawmakers. While none of the 469 members is yet to be convicted based on the above provisions of the law, many of them face criminal and sundry charges that cast doubts on their integrity. PREMIUM TIMES presents men and a woman who have confirmed allegations of criminal wrongdoing against them, who will be making laws for the nation. It emerged in March 2005, during a messy divorce case with his ex-wife, Victoria, that the immediate past President of the Senate violated Nigerian law by operating foreign accounts while holding public office. Court papers in London showed that in the early 2000s, Mr. Mark operated foreign accounts, having about six million pounds in four accounts – three at the Northern Bank, Isle of Man, and one at the Allied Irish Bank, Jersey. The funds were frozen in October 2000 as a result of the ancillary relief sought by Victoria in the couple’s divorce case. 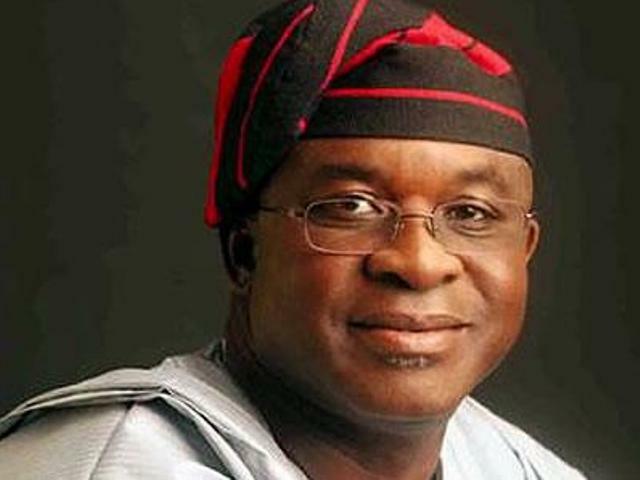 Mr. Mark’s operation of those accounts while a Senator is a violation of Nigerian law which bars public officials from operating foreign accounts while in office. The Code of Conduct Bureau, vested with the responsibility of prosecuting public officers who violate this law, has however turned a blind eye to the development. Mr. Mark has not been charged to court. The duo were accused by the former Director General of the Securities and Exchange Commission, SEC, Arunma Oteh, of demanding N39 million bribes and an additional N5 million, during the probe of the near collapse of the capital market in 2012. The SEC DG also alleged that Mr. Hembe received money from the commission to enable him travel to the Dominican Republic for a conference which he did not attend. Instead of refunding the Duty Tour Allowance, DTA, to SEC, Mr. Hembe pocketed it. Based on the allegation, Messrs Hembe and Azubuogu, who were chairman and deputy chairman of capital market committee respectively, were suspended by the House. They were later arraigned for fraud by the Economic and Financial Crimes Commission, EFCC. The two lawmakers are yet to be cleared of the charges. 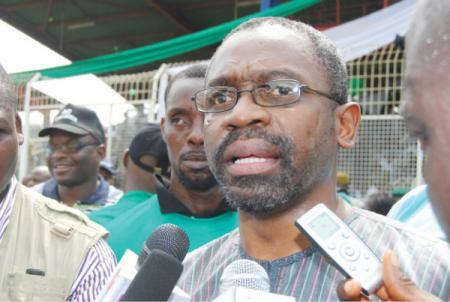 In the run-up to the election for the Speakership of the House of Representatives, which was determined on Monday, the Registered Trustees of the Social Justice and Civil Rights Awareness Initiative approached the Abuja Division of the Federal High Court to push for the disqualification of Mr. Gbajabiamila, who was one of the leading contenders for the position. The group contended that Mr. Gbajabiamila was not morally fit to be Speaker having been convicted in the state of Georgia for unethical practices and debarred as a lawyer for 36 months. In an ex-parte motion, argued on its behalf by Human Rights lawyer, Mike Ozehkome, SAN, the group said information available to it suggested that the APC lawmaker was, in 2007, convicted in the state of Georgia for unethical practices and was debarred for ‎36 months based on an order by the Supreme Court of Georgia. Details of the allegations indicate that on February 26, 2007 the highest court in the state of Georgia ordered that Femi Gbaja (Gbajabiamila), with state bar number 288330, be suspended from the practice of law for 36 months. The ruling was based on a complaint by one of the clients of Mr. Gbajabiamila, who accused him of stealing $25,000 from him. The lawyer had in 2003, while practising in Georgia, accepted payment of $25,000 on behalf of his client as personal injury claims. He however failed to disburse the funds to the client. Rather, he withdrew the funds, closed his law practice and returned to Nigeria to launch a political career. Mr. Gbajabiamila would perhaps have been debarred for life. But before judgment could be giving in the case, he pleaded guilty before a full panel of the Supreme Court of Georgia led by Chief Justice Leah Ward Sears, and filed a petition for Voluntary Discipline under bar rule 4-227(b). He later refunded the client’s money ($25,000) and once again became eligible to practice law in the State of Georgia in February 2010. Mr. Saraki, who was elected Senate President on Tuesday, is accused of fraud and money laundering. In March 2014, the Special Fraud Unit of the Nigeria Police issued a damning report recommending the Senator (APC Kwara Central) for prosecution over alleged violation of Nigeria’s money laundering laws. 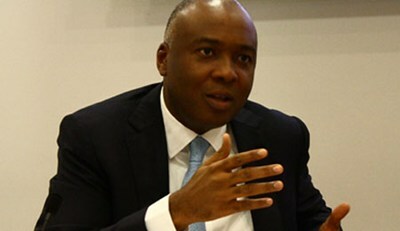 In an investigation that spanned many years and covered accounts held by the Senator and his companies in Zenith, GTB and Access Bank, police investigators say they found evidence of huge and consistent stealing of public funds by Mr. Saraki and his aides, especially when he served as governor of Kwara state. The Nigerian authorities have however failed to charge the Senator to court. In fact, rather than do this, former Attorney General and Minister of Justice, Mohammed Adoke, wrote to the Inspector General directing him to stop further investigation of Mr. Saraki. Based on this directive, a Federal High Court, in May, ordered the police to stop further “harassment” of the Senator. The Economic and Financial Crimes Commission had also in July 2013 summoned Mr. Saraki over separate corruption allegations. Some residents of Kwara had petitioned the EFCC accusing Mr. Saraki of graft worth hundreds of millions of naira during his eight-year rule (2003 to 2011). 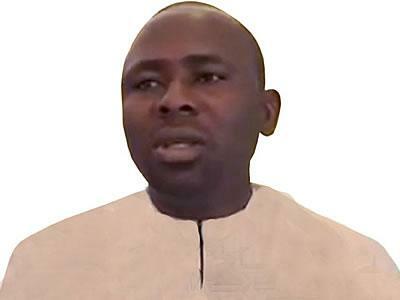 Mr. Saraki’s spokesperson, Bamikole Omishore, confirmed the receipt of the EFCC summons at the time. But it is unclear how far the anti-corruption agency has gone in its investigation. Mr. Orji, the Senator representing Abia Central, is the immediate past governor of Abia State. A former permanent secretary, Mr. Orji served as the chief of staff to a former governor, Orji Uzor Kalu. While serving in that capacity, Mr. Orji was alleged to have been the conduit through which Abia State was defrauded during the eight-year reign of his estranged godfather, Mr. Kalu. The senator was linked to the withdrawal of N5.6 billion in cash from the state’s accounts in the Guarantee Trust Bank, against the regulation of the Central Bank of Nigeria, CBN. He was arrested and detained by the EFCC. While in the EFCC cell, Mr. Orji won the governorship ticket of the Progressives People Alliance, APP, and subsequently the election. Mr. Orji was still in the EFCC cell a few days to his swearing in in 2007. It was, however, the Court of Appeal in Lagos that issued an order for him to be released on time to be inaugurated as governor. Being a governor, he enjoyed constitutional immunity for eight years. Mr. Orji is yet to be cleared of the charges of fraud. 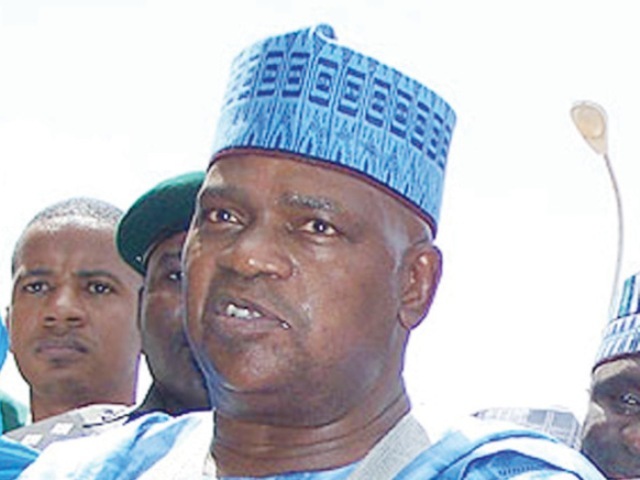 A member representing Gombe Central Senatorial District and former governor of Gombe State, Mr. Goje was on October 7, 2011 declared wanted after he rebuffed repeated invitations by the EFCC, to submit himself for interrogation over alleged theft of N52 billion state funds. He, however, handed himself over to the commission a few days later and was arraigned on October 20, 2011. Mr. Uba is a Senator representing Anambra South Senatorial District, Anambra State. He was a Special Assistant, Domestic Affairs to former President Olusegun Obasanjo, and was fingered in the $15 million bribery saga involving the EFCC and James Ibori, former Delta State Governor. Some top lawyers in the country had demanded Mr. Uba to be investigated after a Lagos businessman, Chibuike Achigbu, deposed to an affidavit claiming that he was the true owner of the money allegedly offered as bribes to a former EFCC Chairman, Nuhu Ribadu. Mr. Achigbu had in a sworn affidavit indicated how Mr. Uba called and told him that it was the money he gave to him (Uba) in 2007 that became a subject of litigation between the Federal and Delta State Governments. Both The Federal Government and Delta State were asking the court to return the money to them after Mr. Ribadu, who was offered the bribe, deposited it with the Central Bank of Nigeria in 2007. Mr. Ribadu had alleged that Mr. Ibori offered him the money, at the residence of Mr. Uba, so that the EFCC could drop its investigation of the former governor. 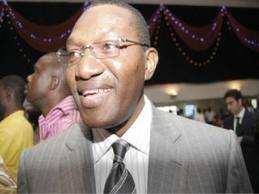 Mr. Uba is yet to be cleared of involvement in the bribery saga. 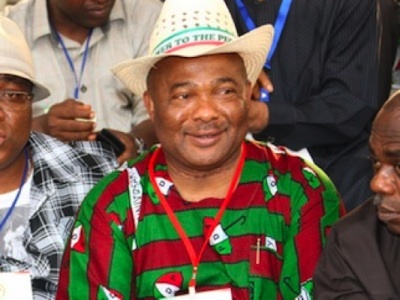 Mr. Uzodinma is PDP Senator representing Imo West Senatorial District, Imo State. A witness at the late Justice Chukwudifu Oputa Commission of Inquiry in July 2001 had accused Mr. Uzodinma of allegedly transferring funds from the accounts of the National Maritime Authority to the former Head of State, Abdulsalami Abubakar. Again in 2005, a former Federal Permanent Secretary, Dere Awosika, and friend of former First Lady, Stella Obasanjo, was accused of awarding fraudulent contracts to herself and Mr. Uzodinma’s firms. Mr. Uzodinma is a close ally of former President Olusegun Obasanjo. The lawmaker was said to have collected mobilisation fees which amounted to over N250 million but was forced to make refunds due to pressure from the EFCC. In the same year, Spring Bank Plc filed a petition with the EFCC, alleging fraudulent diversion and obtaining money under false pretences against the Senator. He is also said to have been arrested and detained by the EFCC while one of his company, Transurb Technical Consult Ltd went bankrupt. The Imo lawmaker is yet to be cleared of any of these allegations. Senator Aliero represents Kebbi Central and is a former governor of Kebbi State. 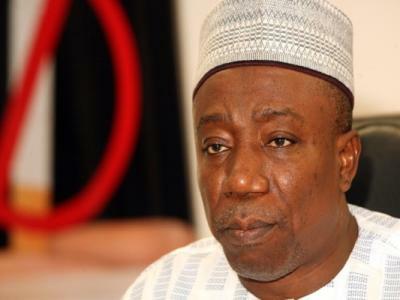 Some citizens of Kebbi State, including Sani Dododo, Abubakar Kane and one Mungadi had in December 2006, February 2007 and August 2007 petitioned the Independent Corrupt Practices and other related Offences Commission, ICPC and the EFCC to investigate the former governor over alleged theft of N10.2 billion funds belonging to the state. While the matter was yet to be settled, the late President Umaru Yar’Adua appointed Mr. Aliero the FCT minister. The appointment irked the citizens who later petitioned a Federal High Court in Abuja and caused the EFCC, and the ICPC to summon Mr. Aliero. He faulted the EFCC and ICPC for allowing the late Mr. Yar’Adua to appoint the former governor as a minister without raising any question regarding the pending graft case against him. Just like others, Mr. Aliero is yet to be cleared of the charges. 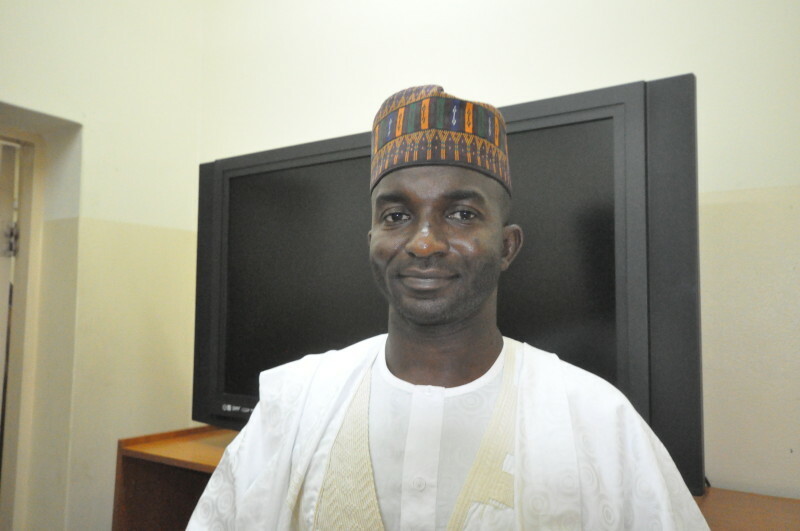 He will represent Adamawa Central and is the son of the former Governor of Adamawa State, Murtala Nyako. Mr. Abdul-Aziz was declared wanted by the EFCC in a case of stealing, abuse of office and money laundering and was later arrested and interrogated. The former governor’s son is being investigated over how N15billion belonging to Adamawa State Government was laundered into the accounts of five companies said to be owned by him including Blue Opal Nigeria Limited, Crust Energy Nigeria Limited, Blue Ribbon Multilinks Limited, Tower Assets Management Limited and Blue Ribbon Bureau De Change. The funds were allegedly funnelled into the accounts of the companies from Adamawa State Government accounts domiciled in a new generation bank by the account officer who incidentally is the manager and an in-law to the elder Nyako. The EFCC said the manager claimed he transferred the funds through verbal instructions from the former governor for purposes that were not stated. The commission said its investigations revealed that from 2007 to 2011, former Governor Nyako directed that all state-owned accounts domiciled in various banks be transferred to the new generation bank. Mr. AbdulAziz’s company, Blue Opal, is said to own, among other investments in Nigeria, an estate in Abuja, while his father’s account officer owns several properties and investments scattered around Abuja, Yola and Kano. While he is yet to be cleared of the criminal charges, Mr. Abdulaziz has been elected to the Senate to make laws for Nigerians. Mr. Ndume is a Senator and member-elect representing Borno South Senatorial District, Borno State. The Nigerian government had alleged that Mr. Ndume has links with the insurgent group, Boko Haram, and that he furnished the sect with information that aided their operations in the country. In November 2011, he was arrested and interrogated by the State Security Service, SSS, on allegations that he supplied the telephone numbers of top government officials and judges, among which included the phone number of the Attorney General for the Federation, Mohammed Adoke, to the insurgents. The sect was said to have called some of those whose numbers were given to them and threatened to visit them with “fire and brimstone”. 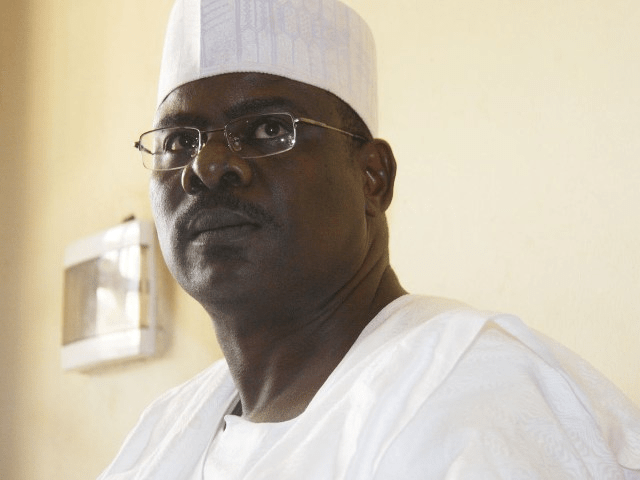 Based on these, the Federal Government arraigned Mr. Ndume before an Abuja High Court on a four-count criminal charge and tendered a proof of evidence that indicated the lawmaker made contacts with the Boko Haram sect 73 times. The government supplied call logs and three digital video discs (DVDs), containing call-data records, as well as documents containing findings carried out by a Special Investigation Panel (SIP) set up by SSS headquarters. Senator Ndume is yet to be cleared of the charges. Ms. Oduah is the Senator representing Anambra North and former minister of aviation. 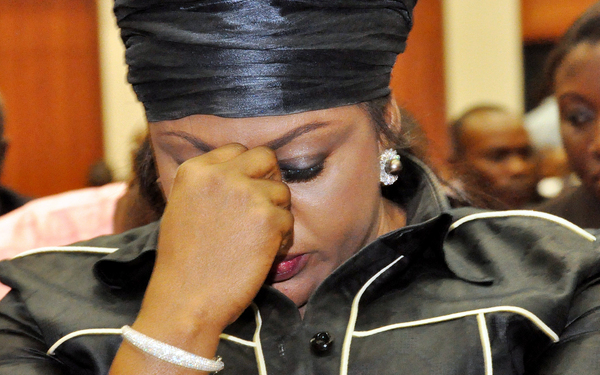 While serving as Minister of Aviation, Mrs. Oduah courted many controversies including allegation of certificate forgery and was indicted for corruption by the House of Representatives. In a report of its investigative hearing, the House found that Ms. Oduah approved the purchase of two armoured BMW cars for a whopping N255 million. Among other things, the report revealed that there was no appropriation for the purchase. It also revealed that due process was not followed in the procurement. While the controversy over the illegal purchase of the two armoured vehicles was yet to settle, another scandal broke out over the Masters in Business Administration, MBA Degree and PhD she claimed to have gotten. It was found out that Ms. Oduah obtained the MBA from a school which has never had a Masters’ programme, and in the same year in which she was serving in the National Youth Service Corps in Nigeria. Since she could not have obtained the MBA from the school because the institution never had such a programme, it meant Ms. Odua forged the paper she submitted as certificate. On the PhD claim, it was found that the ‘awarding’ institution does not exist. Following widespread public outcry, President Goodluck Jonathan relieved her of the ministerial job and she went back to Anambra and contested and won the Anambra North Senatorial seat. The senator-elect has not been cleared of the allegations yet. He is the Senator representing Ebonyi North Senatorial District, Ebonyi State and former governor of the state. On July 2007, a group, which called itself the Coalition for Good Governance in Ebonyi State, wrote to late President Yar’Adua, a copy of which was sent to the EFCC, accusing Mr. Egwu of stealing billions of funds belonging to the state. The first of the allegations against Mr. Egwu was false declaration of assets. In his assets declaration form, dated 21 July 1999, Mr. Egwu claimed that he had three buildings located in Amoffia Ngbo, Ezzamgbo and Abakaliki, all valued at N15 million. But Egwu’s accusers challenged him, claiming that it was a lie fabricated to cover up intended and pre-determined fraudulent acquisition of property while in office. They alleged that Mr. Egwu, both as a lecturer at the then Enugu State University of Technology, Abakaliki campus (now Ebonyi State University) and later commissioner for education, had no personal house at Abakaliki, the state capital, or his town, Amoffia. They insisted that the university accommodated him at its quarters, an address he used even as governor, when he sought for a loan of N71.5 million from the erstwhile Allstates Trust Bank on May 7, 2003. The group listed several other alleged criminal acts. While the EFCC arrested and detained the former Accountant General of the state, Linus Nwankwo, the former governor, under whose government Mr. Nwankwo served, was untouched. Mr. Kasham, representing Ogun East Senatorial District, Ogun State. 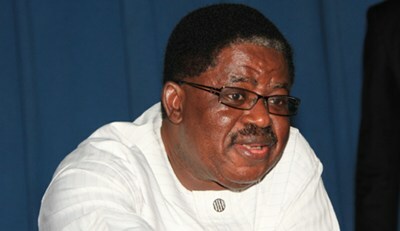 Mr. Kashamu is wanted by the United States government for alleged drug related offences. 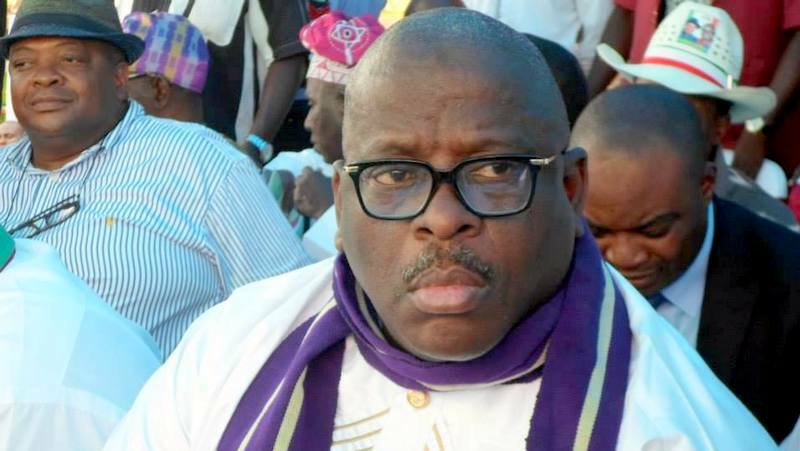 Mr. Kashamu and 14 others were, in 1998, charged by a federal grand jury for their alleged involvement in an international conspiracy to smuggle heroin into the US. He claims the allegation was a case of mistaken identity. Recently, the National Drug Law Enforcement Agency placed Mr. Kashamu under house arrest in an attempt to extradite him to the U.S. The matter is still before a court. He is a Senator representing Plateau Central, Plateau State. Mr. Dariye was arrested by the Metropolitan Police on January 20, 2004 in London, United Kingdom with over $9 million. While on bail, he escaped to Nigeria and has since not gone back to clear himself of the money laundering charges the British Government brought against him. He was, however, impeached on November 13, 2006, after a five-man legislative panel set up to try him for corruption submitted its findings. His impeachment was upturned by the Court of Appeal on March 8, 2007. The court had held that the action violated the 1999 Constitution and ordered his immediate reinstatement. The Supreme Court also upheld the Appeal Court ruling and Mr. Dariye be reinstated. On July 13, 2007, shortly after he left office, he was arraigned on a 23-count charge of money laundering and theft of billions of naira by the EFCC. 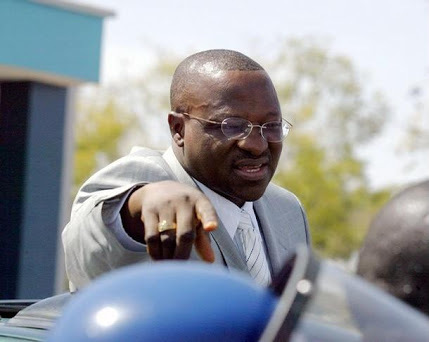 In an attempt to escape justice once again, Mr. Dariye had contended that the Abuja High Court has no jurisdiction to try him and pursued the case to the Supreme Court. However, the Supreme Court dismissed his appeal on grounds that it was “unmeritorious,” and also held that the Court of Appeal was right to have affirmed the ruling of the FCT High Court which dismissed his notice of preliminary objection. A five-man panel of the Supreme Court led by Justice Sylvester Ngwuta, said the scenario played out in Mr. Dariye’s suit was ‎a “sad commentary on the country’s anti-graft war”. While he was ordered to return to the Abuja High Court to face corruption trial, Mr. Dariye rather headed to the Senate to make laws for Nigerians. 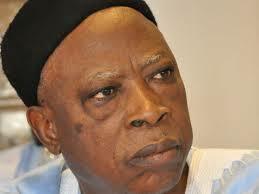 Mr. Adamu is a former governor and senator representing Nasarawa West, Nasarawa State. He was arrested by the EFCC on February 23, 2010, over alleged fraudulent award of contracts and stealing of public funds estimated at N15 billion. The ranking senator is currently standing trial for alleged non-execution of the N71.7 million contract for the construction of engineering complex at Nasarawa State Polytechnic and the N34 million contract for the construction of Admin block in the same institution as well as the award of N1.1 billion contract for various projects without due process, among others. He was arraigned by the EFCC on March 3, 2010, alongside 18 others, on a 149-count charge of fraud amounting to N15 billion. While he has made several attempts at getting the courts to drop the charges, Mr. Adamu has met brick wall but these have not dampened his morale and barred him from sitting in the “hallowed” chambers of the Nigerian Senate to make laws since 2011. 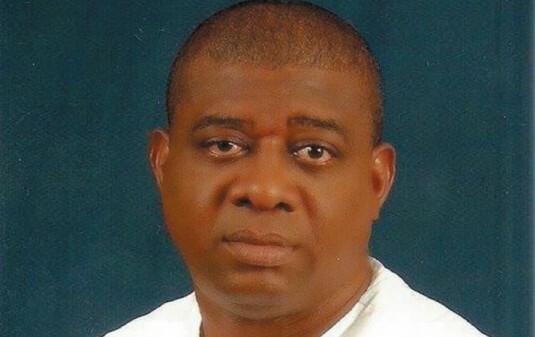 He was elected to represent Ado/Okpokwu/Ogbadigbo Federal Constituency, Benue State. But for the quick intervention of the court, Mr. Adah, who forged the certificate he presented to INEC, would have joined other tainted men to make laws for the country. His co-aspirant, Hassan Saleh, had found out about the cooked diploma certificate and quickly dragged Mr. Adah to court after he fraudulently got the PDP ticket to contest the March 28 National Assembly poll. In his ruling on the pre-election case, an Abuja Federal High Court Judge, Adeniyi Ademola, ordered INEC to nullify the certificate of return issued to Mr. Adah. Justice Ademola found that the defendant truly forged the Ordinary National Diploma certificate in Accountancy he purportedly obtained from the Federal Polytechnic, Mubi, in 1985. The judge said findings by the court showed that the National/State Assembly Election Petition Tribunal, in Makurdi had on September 6, 2011, indicted Mr. Adah of certificate forgery. The ruling followed a letter by the Registrar of the polytechnic, Suleiman Buba, that the certificate Mr. Adah presented to INEC was forged. Justice Ademola did not only strip him of INEC’s certificate of return but also ordered the Inspector-General of Police, Solomon Arase, to immediately arrest and prosecute the lawmaker-elect for forgery and perjury. In his place, the court ruled that all the votes that accrued to him in the PDP’s primary held on December 6, 2014, as wasted and also declared Mr. Saleh, who came second as the winner of the primary.